Mom, our treasure! 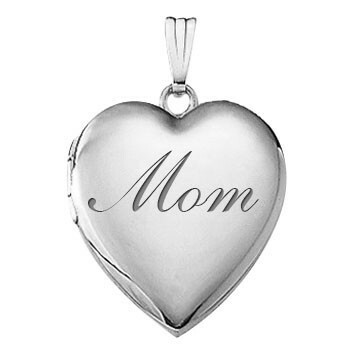 This locket measures 3/4" across and holds 2 pictures. Sterling 18" chain is included, as is the lifetime warranty and gift box.